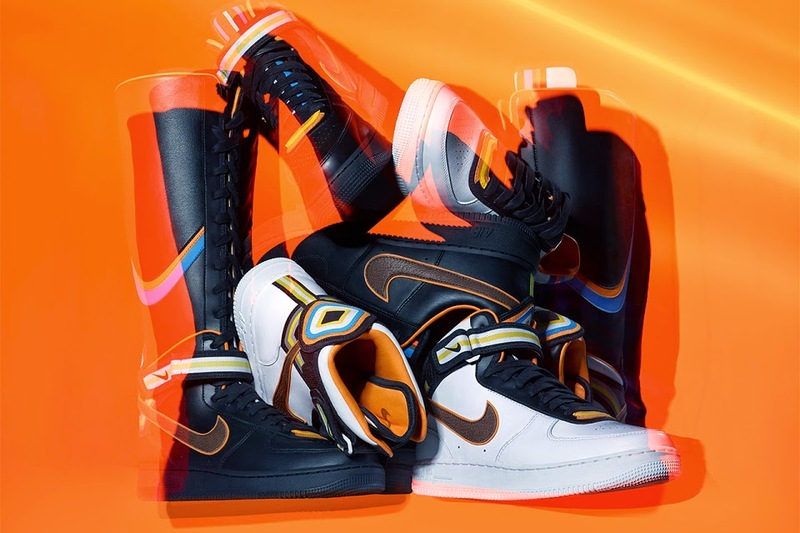 If you follow the world of sneakers, you know that this post isn't exactly hot off the press. 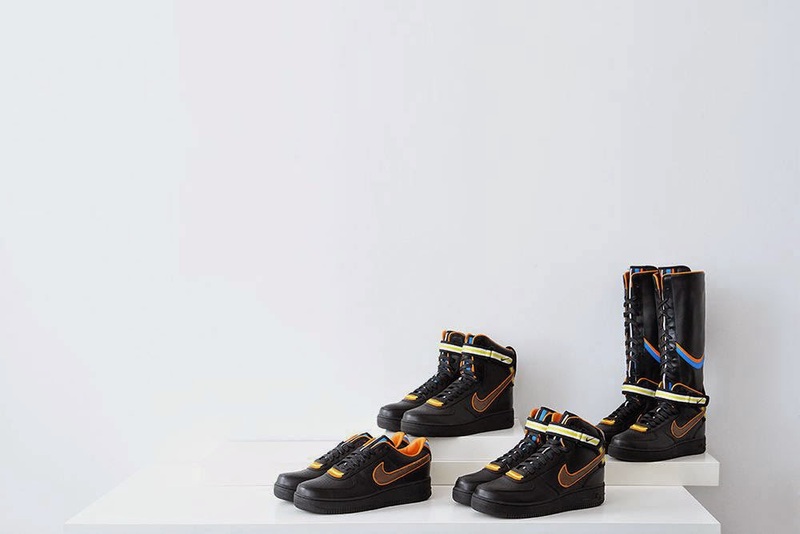 The Nike x AF1 RT collection was first announced at the beginning of 2014, maybe even at the back-end of 2013, so I'm not bringing new news here. I wasn't sure how to take the collaboration to begin with; it wasn't something that I knew right away I wanted to buy into. I couldn't make my mind up. Kind of how I feel about Dunk Sky Highs or Lunar Elite's; I'm just not sure yet. I'm happy to make my mind up while I'm sitting here in a pair of Thea's or even Converse. 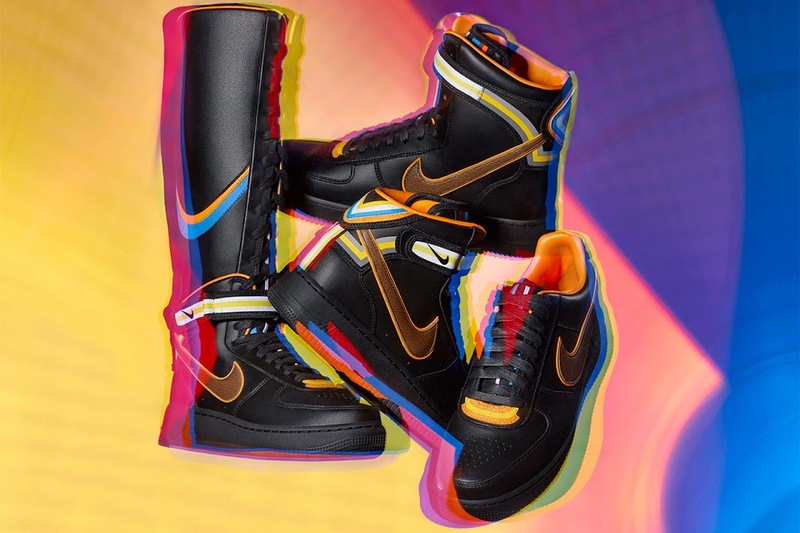 The Black Collection's launch date hasn't been officially announced yet, but I've been thinking more and more about possibly buying the Mid or the High. I think they're a bit more, not to sound cheesy, but fashion-forward than the white. 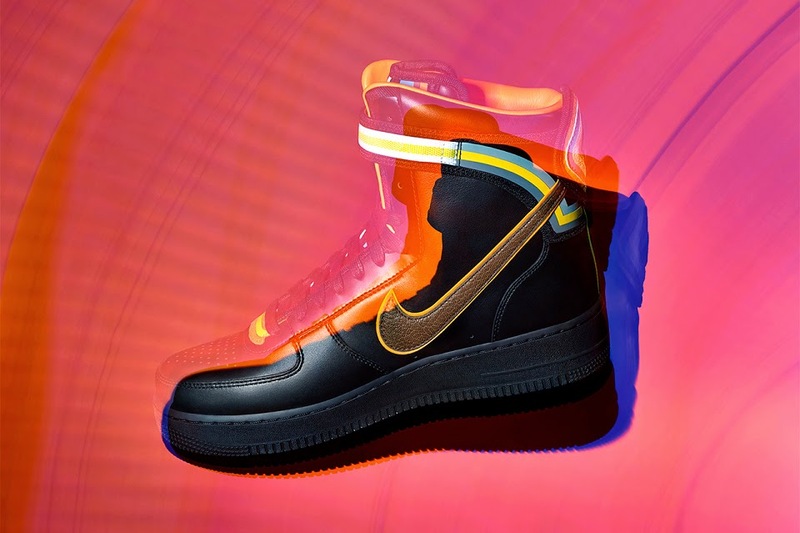 I think the people who buy these aren't your regular Air Force 1 consumer; they're your fashion chick or dude who gets invited to fashion week and wants to make a statement. I think the tribal-inspired colourways definitely make a statement, especially against an all black outfit. The Mid's, right the way up to the full boot all have a pretty powerful military vibe about them and I kinda like it. I could never wear the full boot, in fact I could probably never actually wear the High (I don't think my calves would allow me to,) but I've seen a few girls wearing the full White boot and they make it work. What do you think about the Black Collection? Yay or nay? As I said, I'm not sure if I'm gonna get a pair when they drop, but I'll be sure to let you all know if I do. Hmm. Nay. I'm more fan of the white collection, can't really explain why though ..
Yeah I know what you mean; they're a bit more suited for summer I think but the black collection has really grown on me.